Many children have problems with learning rational numbers. Recent research has shed light on the cognitive mechanisms that may account for these difficulties. 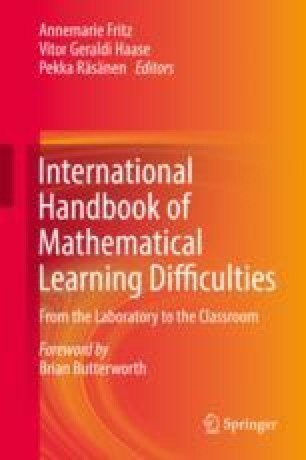 In this chapter, we first review theoretical frameworks and empirical evidence that help understanding learners’ difficulties with rational numbers. Next, we discuss whether these difficulties with rational numbers are the same for learners with and without mathematical learning difficulties. To identify effective teaching approaches, we briefly review recent intervention studies on rational number learning. Finally, we discuss implications for teaching and learning of rational numbers and desiderata for future research.